Need a gift idea? 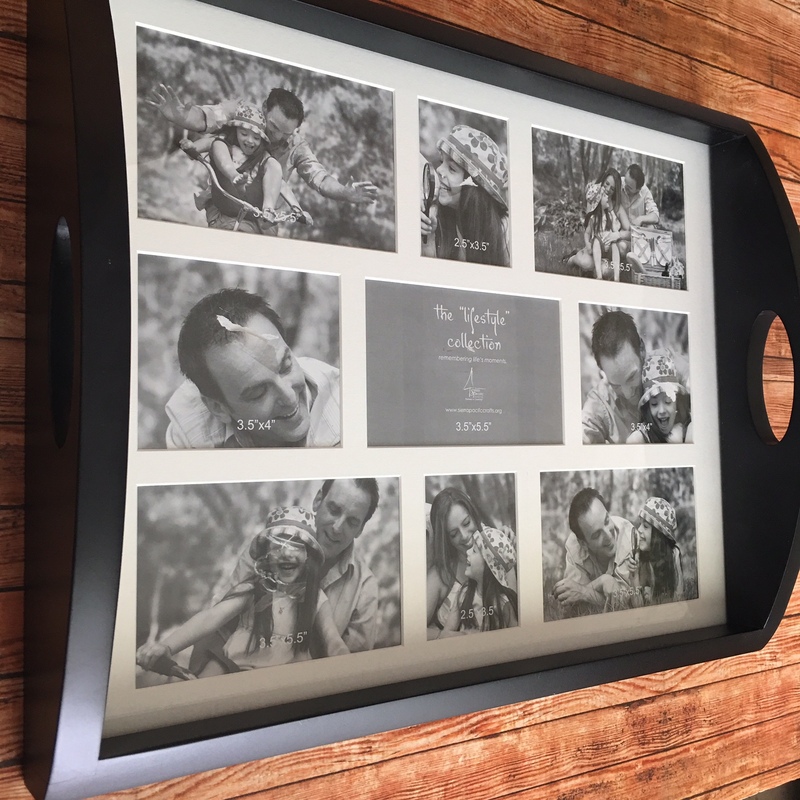 This Autumn Black DIY Photo Tray is an excellent gift that you can customize for anyone! What a great heart felt gift for Mothers Day, Fathers Day or Grandparents Day! Also great for a for a teacher or coach. Just place photos of the kiddos in the class or add art work to each opening, then use the technique of covering the mat board with any paper to go with your theme. Photos or Journal cards to fill the openings on the matt board. Masking Tape or any other tape you have handy. Here are the 6 papers I used from our new Photo Play “Falling Leaves” Collection. Take the 4 matching papers and tape them together as one big 24×24 square. 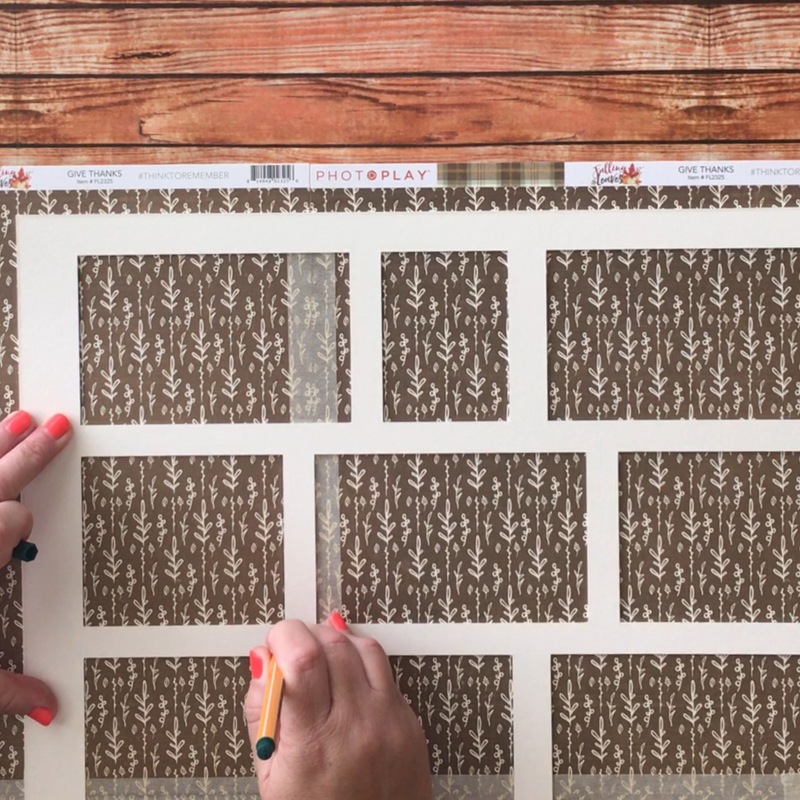 Then place the matting that comes with your tray on the backside of the paper and trace all around the matt board. Then cut out your paper so it fits on top of the white matting. 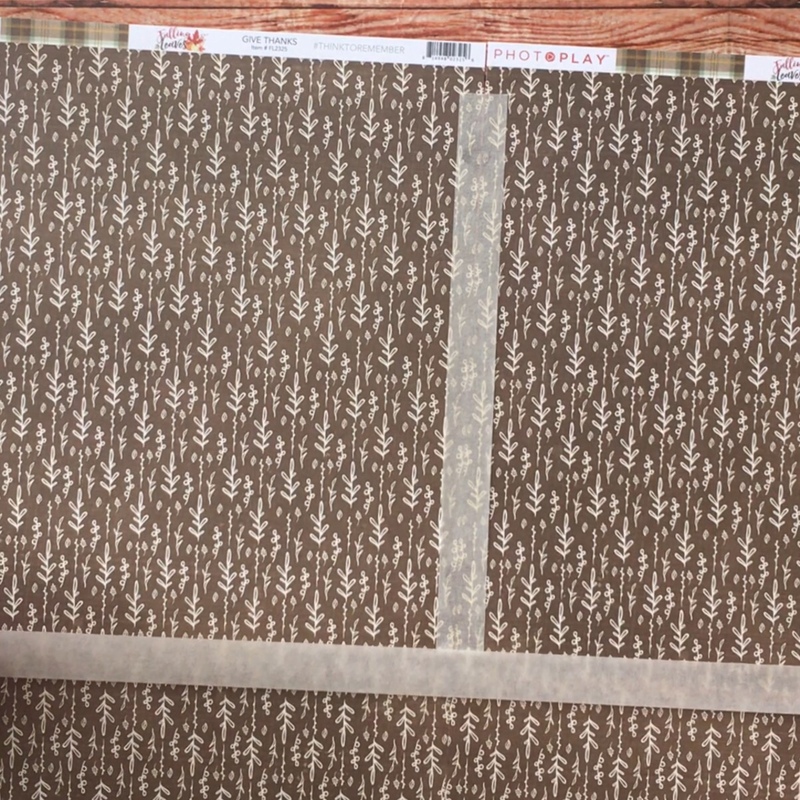 Use a tape runner to secure the mat, or leave it unglued if you want to change out the images for each holiday. Just placing the mat on top will be secure enough. Place paper on top of matting so its taped down. Then choose which photos or images you would like to use. Place images behind the mat and tape down. Place everything back into the photo tray frame and your done! This entry was posted in Create, Gift Giving, Home Décor, Thanksgiving and tagged gift, photoplay, Serving tray.